O.L.I.V.E.R. is an online learning management system accessed from the Parents as Teachers website or eBusiness Portal. O.L.I.V.E.R. allows users to experience new and engaging ways to access online and on-ground training, collaborate with peers, and interact with Parents as Teachers resources and curricula. When you log in to the Parents as Teachers eBusiness Portal, you will notice that resources are available in two distinct areas. 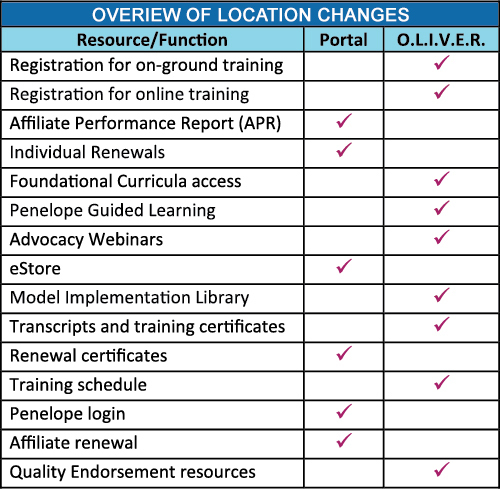 Some resources are available in the portal and others are accessible through O.L.I.V.E.R. learning platform.